The high-performance, low-power Microchip 8-bit AVR RISC-based microcontroller combines 1KB ISP flash memory, 32B SRAM, four general purpose I/O lines, 16 general purpose working registers, a 16-bit timer/counter with two PWM channels, internal and external interrupts, programmable watchdog timer with internal oscillator, an internal calibrated oscillator, a 4-channel/8-bit A/D converter, and four software selectable power saving modes. The device operates between 1.8-5.5 volts. Socket card for STK600 with SOT23 6-pin socket. 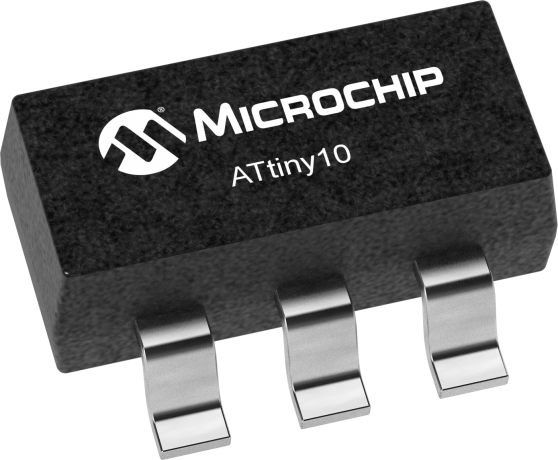 Supporting tinyAVR devices in the ATtiny10 family.